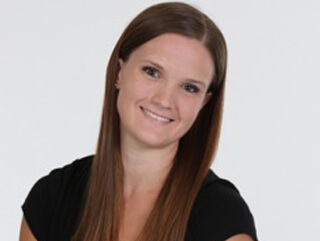 Ms. Gatzke, a native of West Bend, Wisconsin, has trained for over 18 years in ballet, jazz, tap, modern and contemporary dance. She excelled in early dance training at the Metro Milwaukee Ballet Center under Rafael Delgado, and with Makaroff Youth Ballet under Jeanette Makaroff – both former principals with Milwaukee Ballet. Ms. Gatzke went on to study at Ballet West Summer Intensive, Central Pennsylvania Youth Ballet and BYU Summer Intensives, and is a graduate of the University of Utah with a BFA in Ballet Teaching. She has studied under many additional teachers, including Regina Zarhina – former principal with several international ballet companies, Jay Kim – former principal with Korean National Ballet, Calvin Kitten – former principal with Joffrey Ballet, and Maggie Tesch – former principal dancer with Ballet West. In her performing career, Ms. Gatzke has had the opportunity to dance many principal roles including Sugar Plum Fairy, Dew Drop Fairy, and Snow Queen in The Nutcracker; and numerous additional sola variations in such classic ballets as Cinderella and The Sleeping Beauty. Alana is enthusiastic about working with young aspiring dancers and relishes the opportunity to share her love of dance with everyone who is willing to learn. Alana Gatzke is an ABT® Certified Teacher, who has successfully completed the ABT® Teacher Training Intensive in Pre-Primary through Level 3 of the ABT® National Training Curriculum.